$1 Flip-Flops at The Children’s Place! 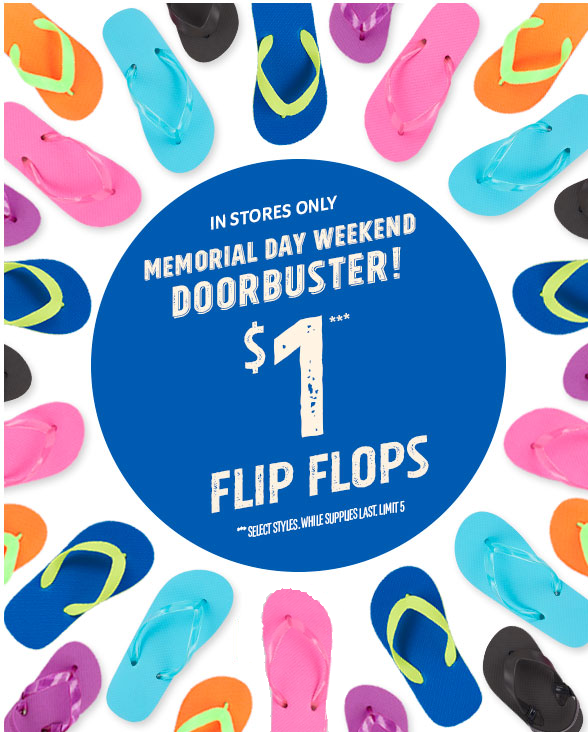 Head to your local Children’s Place to score $1 flip flops for the kids! These flops are great for dressing up with some ribbon and really making them your own. Or just wear them as is for some easy summer stylin’. 50% off Target Cartwheel Deals! Up to 75% off Turtle Beach Headsets!